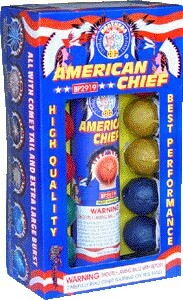 This chief comes with 12 reloadable ball shells! 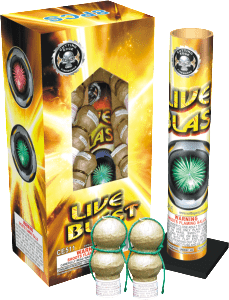 Why pay $17.50 at other NH fireworks stores!? Eight totally different “double-break” balls with spectacular effects. 16 Breaks. 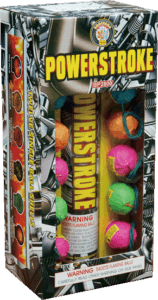 12 loud and colorful artillery ball shells! This is a smaller version of “Excalibur”. 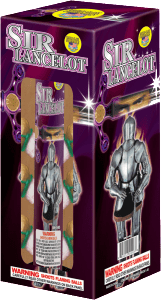 Included in the Sir Lancelot are 6 high powered canister break shells. The HDPE tubes are a single piece mold that assures optimal conditioning of the mortar for launching and unrivaled safety standards. The shells included in the Excalibur Artillery Shell are the best available to the public, hands down. These high quality canisters break over 250 feet high, and over 200 feet wide!